Everyone loves a present (none more so than me) so choosing your gift list should be a really enjoyable part of your wedding planning. Skipping round the shop floor of John Lewis shouting ‘I want one of those’ and beeping it into your handheld never fails to raise a smile. Most guests are more than happy to buy you something from the gift list as it takes away any stress of choosing and wrapping a present, and has the added bonus of being sent directly to you. However there are some unwritten rules that you might want to follow so as not to cheese off your guests. Firstly, the list should include gifts of differing values so guests can pick to suit their budget (anything from £50 – £150) and secondly, don’t even think about including a Playstation 3 or personal gifts like the latest GHD’s. Guests do not really want to spend their hard-earned cash keeping you entertained on Call of Duty (despite what the best man says). 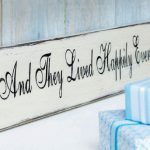 For a wedding list that’s a little bit different take a look at Notonthehighstreet.com which has loads of quirky and unique gifts that guests will be dying to buy you, and that you and your home will love forever. Make a request to the wedding team and you will be sent a beautiful pack, that includes a free wedding style book, a wedding list brochure and everything you need to know about the service, as well as an example of the invitation inserts (that are available free upon request). Louise Boothe from Not on the High Street wedding team says “we also now have a great new feature within our gift list service which allows your friends and family to contribute money towards your gift list, giving you the choice and freedom to purchase higher-priced items or gifts of your choice after your wedding day”. If you don’t need anymore ‘stuff’ and the gift list really isn’t for you, then how about getting guests to ‘buy’ part of your honeymoon? Buy Our Honeymoon is the UK’s top online wedding list for dream honeymoons, who charge a one-off fee of £55 to manage your honeymoon experience gift list. Your guests select any of the honeymoon experiences and activities you’ve listed, and leave you a personal message. They then pay the value of their gift to you directly, either into your own PayPal account, by cheque, or in person on the day of your wedding. We caught up with Shelley Green from Buy Our Honeymoon, who told us that “couples can add absolutely anything from room upgrades and a romantic dinner to a day’s scuba diving or a helicopter flight over the Grand Canyon, whatever you want. You don’t have to have made any of your actual honeymoon arrangements prior to building your wedding list though— you can be as general or as specific as you wish. And if you get stuck, we’re happy to help with lots of suggestions”. You can try their website free for a week to see how it works and decide if it’s for you. It’s like all your birthdays and Christmas’s have come at once – enjoy!